The State Department in the U.S. has lent its support to efforts in Congress to restrict the travel to the U.S. by citizens in 38 countries who have traveled to Sudan, Iran, Iraq or Syria over the last five years. 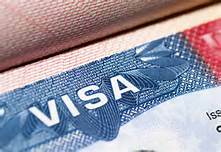 A bill was passed overwhelmingly by the House on Tuesday that tightens control of the Visa Waiver Program that allows travel from some countries into the U.S. without the obtaining of a visa from an U.S. consulate or embassy. Congressional members said it might be necessary to keep them from arriving in the U.S.
A state department spokesperson said the agency was supportive of the legislation, that was bipartisan, proposed by the House and hopes that Congress will move swiftly to pass it. One proposal is requiring that travelers into the U.S. use so-called e-passports, which carry biometric information that lessens the risk of a forgery. In addition, the reforms by Johnson would require using a database of Interpol that tracks passports that are missing, to screen travelers. The measure in the House, if enacted, would require that all of the 38 countries in the VWP issue e-passports. Under that program, travelers will be able to remain in the U.S. for only 90 days. Although the impact on the legitimate traveler is unknown, some skeptics are adding there should be a balance between the enhancement of security and the facilitating of necessary business travel. Close to 20 million visitors are believed to enter the U.S. annually under this Visa Waiver Program. Travelers are screened prior to their arrival through a system online by the Department of Homeland Security. Others have said that the country cannot shut its doors to travelers a large amount of money is from foreign travelers coming to the U.S. to visit, vacation or business travel that would become less if too many restrictions were put into place.